of clean, crisp Chardonnay fermented and finished in stainless steel. A hint of citrus and earthiness. Finishes with some grapefruit notes with just a touch of sweetness. Seyval Blanc makes for a great "pool wine". Our award-winning Cabernet Franc. Medium bodied with fruity flavors, mild spice, and a hint of green peppers and olives. Take everything you like about our Cabernet Franc, and step it up a notch. Our Petit Verdot is a inky dark wine with a peppery spicy aroma laced with hints of dark fruit. Open till 6:30 on Fri.& Sat. 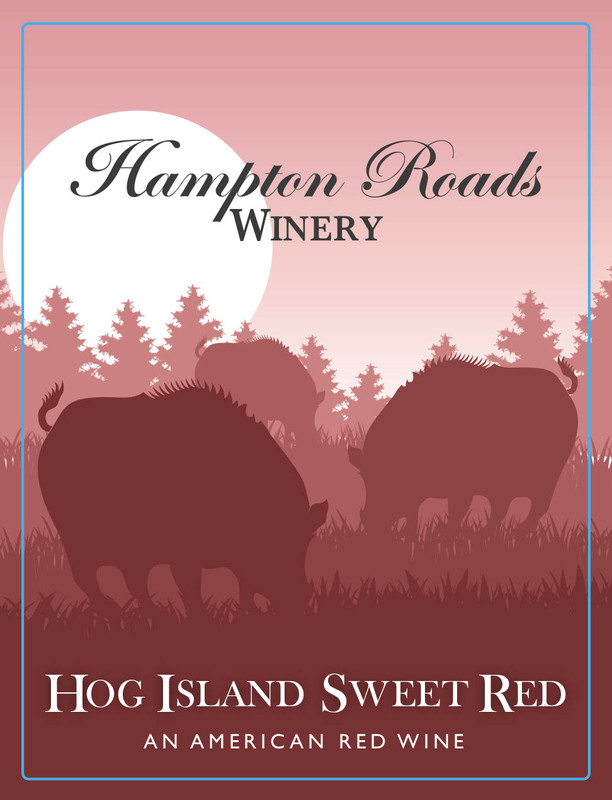 Hog Island Sweet Red is a blend of Norton, Cab. Franc, and Cabernet Sauvignon. 3% residual sugar gives it a sense of sweetness which pairs well with anything chocolate. Available only at the Winery. with Virginia's native Scuppernong? Hog Island Sweet White. White Oak White is a refreshing blend of Chardonnay, Seyval Blanc, and Viognier. Notes of citrus, honeysuckle, and pear. This is our "House Wine" because we think it goes with just about anything. 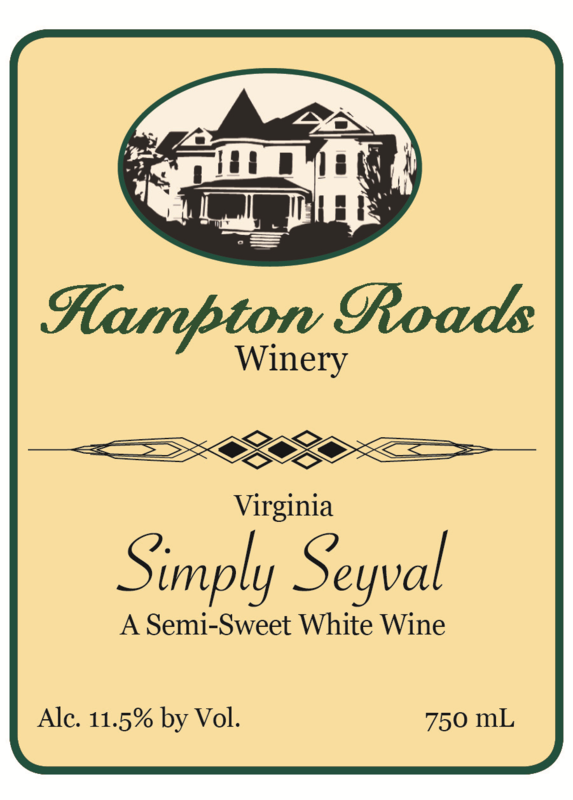 Simply Seyval is a semi-sweet white wine. Lush honey and citrus notes that lead to a full mouth feel and a long sweet finish. Currently out of stock but returning in the Spring. A Limited Edition claret style wine made from Cabernet Franc, Petit Verdot, and Norton. Dark rich fruitiness with chocolate and coffee overtones. A portion of each bottle sale of Bacon's Castle Win is being donated to Preservation Virginia. Our newest wine, this is a lightly-pressed Norton that offers mild cherry flavors without the earthy & gamey flavors this grape is known for. Serve this red cold like you would any white. Click on the label to purchase and ship wines via VinoShipper.